The Robin Hoods invite you to their first event of 2017, dedicated to new and classic fighting games! Make a saving by registering now and paying in advance! ​The headline game of our Fist of the Notts Star event will be the newly released REV 2 update to Guilty Gear Xrd! Fresh off the arcades and into the home, REV 2 has been rebalanced, with two new characters and a host of new moves for the existing selection. FOTNS presents a rare chance for the Northern and Southern communities to meet and play offline in neutral territory, Nottingham is within travelling distance of both scenes without needing an overnight stay. ​Tekken 7 will be barely out in the UK for 24 hours and Robin Hoods invites you to our first Tekken 7 tournament! 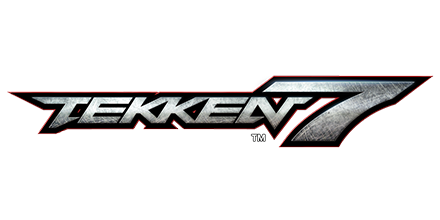 The long-awaited home release of Tekken 7 is based on the latest Fated Retribution revision currently in arcades. Its release on June 2nd marks the end of a five year drought in home Tekken releases. The UK has a lot of catching up to do to compete on the world stage in Tekken once again, why not get an early start? ​in The King of Iron Fist Tournament 7!? Welcome to the world of Street Fighter III! Dust off those legacy skills and bring ‘em out to compete on the Robin Hoods classic fighting game of choice. 3rd Strike has been a tournament favourite since it’s release, and with the hard work of the Gutter Trash group it’s been rising to prominence once again in the UK! Our tournament will be run on original CPS3 hardware via Superguns with classic CRT displays, exactly as Capcom intended! Play this classic with the USB controller of your choice, be that arcade stick, joypad, or even Hitbox! Scenes from the North, the South, and the Midlands are set to collide in one of the most revered and hype tournament fighting games ever! 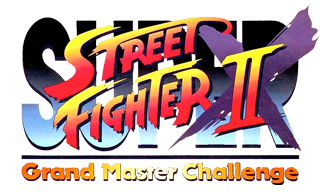 Hosted and ran by our good friends at Grand Master Challenge, the UK's Super Turbo experts! ​Ran on head to head set ups on UD-CPS2 arcade hardware, naturally with CRT displays. Leave your 8 frames at the door! Bring your own compatible 360/PS3/PS4 pads and sticks. ​Get ready to enjoy arcade perfect Super Turbo like it’s 1994! Due to increased demand, we will now be hosting at the world famous National Ice Centre! Our venue is located within walking distance from Nottingham Train Station and Broadmarsh Bus Station for national transit links.